The donkey I couldn't forget was coming around a corner in the walled city of Fez, Morocco, with six color televisions strapped to his back. If I could tell you the exact intersection where I saw him, I would do so, but pinpointing a location in Fez is a formidable challenge, a little like noting GPS coordinates in a spider web. I might be able to be more precise about where I saw the donkey if I knew how to extrapolate location using the position of the sun, but I don't. Moreover, there wasn't any sun to be seen and barely a sliver of sky, because leaning in all around me were the sheer walls of the medina—the old walled portion of Fez—where the buildings are so packed and stacked together that they seem to have been carved out of a single huge stone rather than constructed individually, clustered so tightly that they blot out the shrieking blue and silver of the Moroccan sky. The best I can do is to say that the donkey and I met at the intersection of one path that was about as wide as a bathmat and another that was slightly larger—call it a bath sheet. The Prophet Muhammad once counseled that the minimum width of a road should be seven cubits, or the width of three mules, but I would wager that some of Fez's paths fall below that standard. They were laid out in the late eighth century by Idriss I, founder of the dynasty that spread Islam in Morocco, and they are so narrow that bumping into another person or a pushcart is no accident; it is simply the way you move forward, your progress more like a pinball than a pedestrian, bouncing from one fixed object to the next, brushing by a man chiseling names into grave markers only to slam into a drum maker stretching goat skin on a drying rack, then to carom off a southbound porter hauling luggage in a wire cart. In the case of my meeting the donkey, the collision was low-impact. The donkey was small. 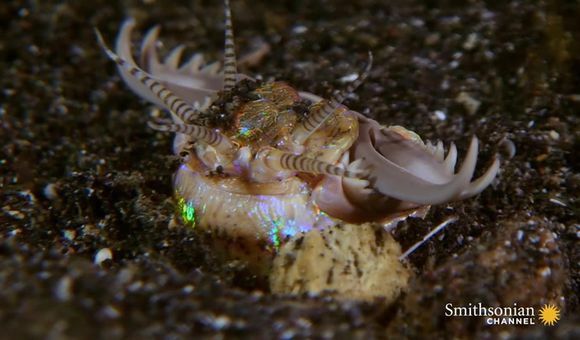 His shoulders were about waist-high, no higher; his chest was narrow; his legs straight; his hooves quite delicate, about the size of a teacup. He—or she, perhaps—was donkey-colored, that is, a soft mouse gray, with a light-colored muzzle and dark brown fur bristling out of its ears. The televisions, however, were big—boxy tabletop sets, not portables. Four were loaded on the donkey's back, secured in a crazy jumble by a tangle of plastic twine and bungee cords. The remaining two were attached to the donkey's flanks, one on each side, like panniers on a bicycle. The donkey stood squarely under this staggering load. He walked along steadily, making the turn crisply and then continuing up the smaller path, which was so steep that it had little stone stairs every yard or two where the gain was especially abrupt. I caught only a glimpse of his face as he passed, but it was utterly endearing, all at once serene and weary and determined. There may have been a man walking beside him, but I was too transfixed by the sight of the donkey to remember. This encounter was a decade ago, on my first trip to Fez, and even amid the dazzle of images and sounds you are struck with in Morocco—the green hills splattered with red poppies, the gorgeous tiled patterning on every surface, the keening call from the mosques, the swirl of Arabic lettering everywhere—the donkey was what stayed with me. It was that stoic expression, of course. But even more, it was seeing, in that moment, the astonishing commingling of past and present—the timeless little animal, the medieval city and the pile of electronics—that made me believe that it was possible for time to simultaneously move forward and stand still. In Fez, at least, that seems to be true. Just a mile outside Casablanca's Mohammed V Airport, on the side of a four-lane high-speed roadway, underneath a billboard for a cellular service provider, a dark-brown donkey ambled along, four huge sacks filled to bursting strapped to a makeshift harness on its back. I had been back in Morocco for less than an hour. My recollection already felt concrete—that there were donkeys everywhere in the country, that they operated like little pistons, moving people and things to and fro, defying the wave of modernity that was washing gently over the country—and that the television donkey of Fez had not been just an odd and singular anecdote. 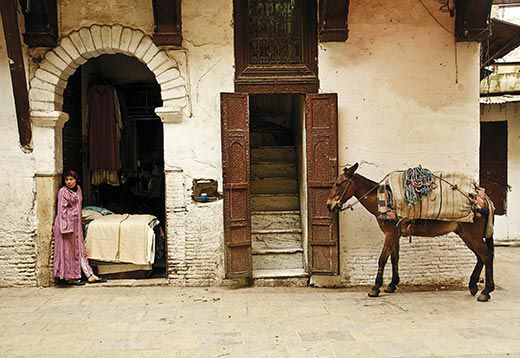 On my first trip to Morocco, I had seen the television donkey and then countless more, trudging through Fez with loads of groceries, propane tanks, sacks of spices, bolts of fabrics, construction material. When my trip was over and I returned home, I realized I had fallen in love with donkeys in general, with the plain tenderness of their faces and their attitude of patient resignation and even their occasionally baffling, intractable moods. 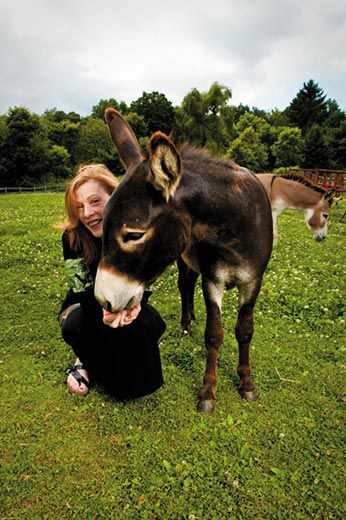 In the United States, most donkeys are kept as pets and their pessimism seems almost comical. In Morocco, I knew that the look of resignation was often coupled with a bleaker look of fatigue and sometimes despair, because they are work animals, worked hard and sometimes thanklessly. But seeing them as something so purposeful—not a novelty in a tourist setting but an integral part of Moroccan daily life—made me love them even more, as flea-bitten and saddle-sore and scrawny as some of them were. 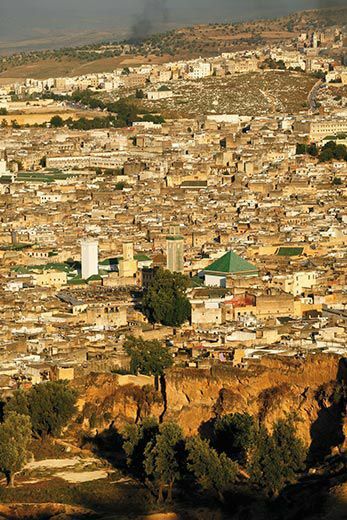 The medina in Fez may well be the largest urbanized area in the world impassable to cars and trucks, where anything that a human being can't carry or push in a handcart is conveyed by a donkey, a horse or a mule. 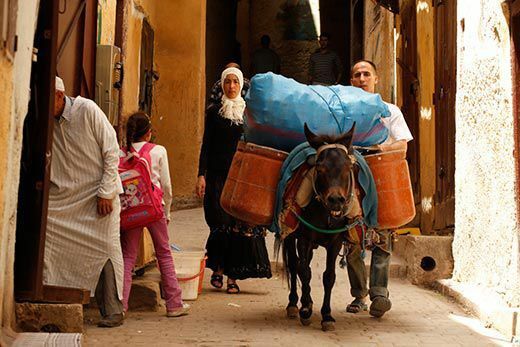 If you need lumber and rebar to add a new room to your house in the medina, a donkey will carry it in for you. If you have a heart attack while building the new room on your house, a donkey might well serve as your ambulance and carry you out. If you realize your new room didn't solve the overcrowding in your house and you decide to move to a bigger house, donkeys will carry your belongings and furniture from your old house to your new one. 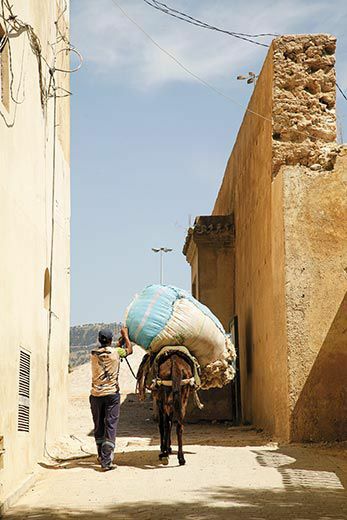 Your garbage is picked up by donkeys; your food supplies are delivered to the medina's stores and restaurants by mule; when you decide to decamp from the tangle of the medina, donkeys might carry your luggage out or carry it back in when you decide to return. In Fez, it has always been thus, and so it will always be. No car is small enough or nimble enough to squeeze through the medina's byways; most motorbikes cannot make it up the steep, slippery alleys. 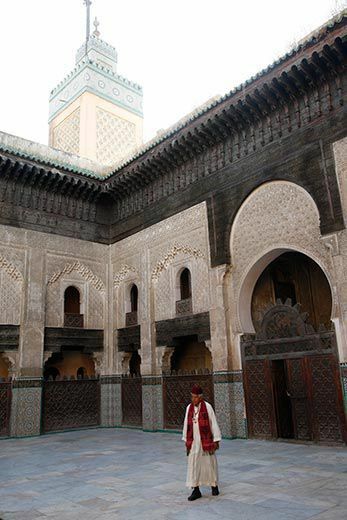 The medina is now a World Heritage site. 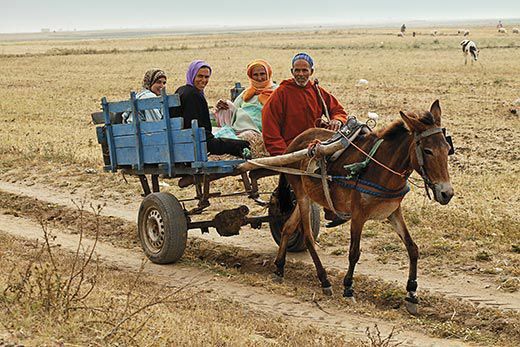 Its roads can never be widened, and they will never be changed; the donkeys might carry in computers and flat-screen televisions and satellite dishes and video equipment, but they will never be replaced. I am not the first American woman to be fascinated by the working animals of the medina. In 1927, Amy Bend Bishop, wife of eccentric, wealthy gallery owner Cortlandt Field Bishop, passed through Fez on a grand tour of Europe and the Mediterranean, and was intrigued by the 40,000 donkeys and mules working at the time. She was also disturbed by their poor condition, and she donated $8,000—the equivalent of at least $100,000 today—to establish a free veterinary service in Fez. The service was named the American Fondouk—"fondouk" is Arabic for inn—and after a stint in temporary quarters the clinic opened up in a whitewashed compound built around a shaded courtyard on the Route de Taza, a busy highway just outside the medina, where it has operated ever since. The Fondouk has become well known in Fez, even among the animals. Dozens of times creatures have shown up at the Fondouk's massive front gate, unaccompanied, needing help; just days before I arrived, for instance, a donkey having some sort of neurological crisis stumbled in on its own. It is possible that these wanderers were left at the door by their owners before the Fondouk opened in the early morning, but Fez and Morocco and the American Fondouk all seem to be magical places, and after spending even a few hours in Fez, the idea that animals find their own way to the Fondouk's shady courtyard doesn't seem unlikely at all. The highway from Casablanca to Fez rushes past fields and farms, along the edge of the busy cities of Rabat, the capital, and Meknes, rolling up and down golden hills and grassy valleys, lush with swaths of yellow broom and chamomile in bloom, and, dotted among them, hot red poppies. The highway looks new; it could be a freshly built road anywhere in the world, but several mules trotted across the overpasses as we zoomed underneath, claiming the image as Morocco. King Mohammed VI makes frequent visits from Rabat to Fez; some speculate that he might relocate the capital there. The king's presence is palpable. The Fez that I encountered ten years ago was dusty, crumbling, clamorous, jammed. Since then there's been restoration at the massive royal palace; at least a dozen fountains and plazas now line a long, elegant boulevard where there used to be a buckling road. New development followed the royal family's interest in the city; as we headed to the Fondouk, we drove past a gaping excavation soon to be the Atlas Fez Hotel and Spa and a score of billboards touting shiny condominiums such as "Happy New World" and "Fez New Home." 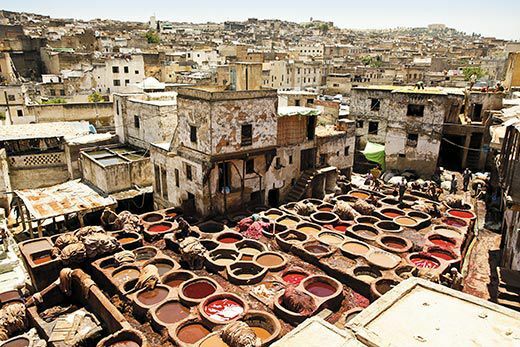 But the medina looked exactly as I remembered it, the dun-colored buildings tight together, hive-like; the twisting paths disappearing into shadow; the crowds of people, slim and columnar in their hooded jalabas, hurrying along, dodging and sidestepping to make their way. It is rackety, bustling. I chased after my porter, who was wheeling a handcart with my luggage from the car. We had parked it outside the medina, near the gorgeous swoop of Bab Bou Jeloud, the Blue Gate, one of the handful of entryways into the walled city. In a moment, I heard someone shout, "Balak, balak! "—Make way, make way!—and a donkey carrying boxes marked AGRICO came up behind us, his owner continuing to holler and gesture to part the crowd. And in a few moments came another donkey, carrying rusty orange propane tanks. And in a few moments, another one, wearing a harness but carrying nothing at all, picking his way down one of the steepest little roads. As far as I could tell, the donkey was alone; there was no one in front of him or beside him, no one behind. I wondered if he was lost, or had broken away from his handler, so I asked the porter, who looked at me with surprise. The donkey wasn't lost, the man said. He was probably done with work and on his way home. Where do the donkeys of the medina live? Some live on farms outside the walls and are brought in for work each day, but many live inside. Before we got to my hotel, the porter stopped and knocked on a door. From the outside, it looked like any of the thousands of doorways of any of the thousands of medina houses, but the young man who answered the door led us through a foyer, where it appeared he had been practicing electric guitar, to a low-ceiling room, a bit damp but not unpleasant, the floor strewn with fava beans and salad greens and a handful of hay. A brown goat with a puppy-size newborn kid sat in a corner, observing us with a look of cross-eyed intensity. The young man said that ten donkeys lived in the house; they were stabled in the room each night, but they were all out working during the day. 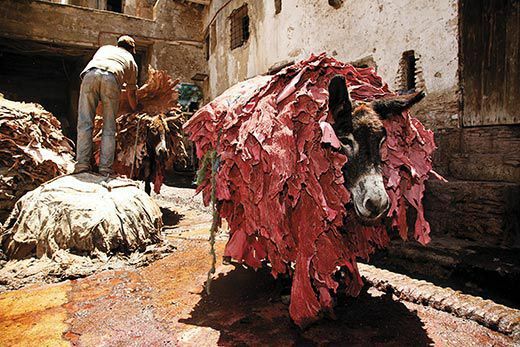 So a good donkey is respected and valued—it is estimated that 100,000 people in the Fez area depend in one way or another on a donkey for their livelihood—but the animals are not sentimentalized. Out of habit, every time I spoke to someone with a donkey, I asked the donkey's name. The first man I asked hesitated and then answered, "H'mar." The second man I asked also hesitated and then answered, "H'mar," and I assumed that I had just stumbled upon the most popular name in Morocco for donkeys, the way you might by chance meet several dogs in the United States named Riley or Tucker or Max. When the third told me his donkey's name was H'mar, I realized it couldn't be a coincidence, and then I learned that H'mar is not a name—it's just the Arabic word for donkey. 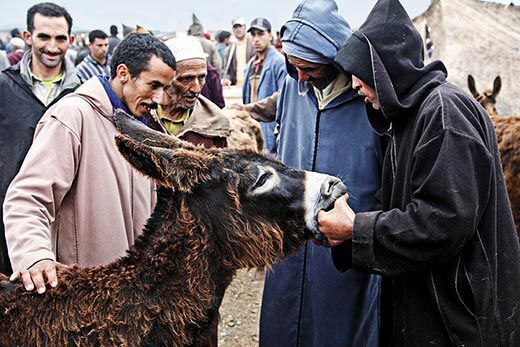 In Morocco, donkeys serve, and they are cared for, but they are not pets. One afternoon, I was talking to a man with a donkey in the medina and asked him why he didn't give his donkey a name. 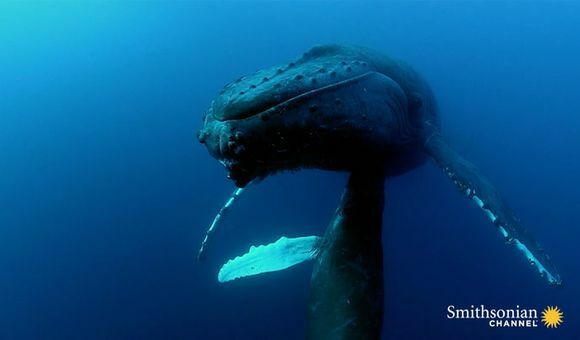 He laughed and said, "He doesn't need a name. He's a taxi." I woke up early to try to beat the crowd to the Fondouk. The doors open at 7:30 each morning, and usually there is a crowd of animals already outside the gate by then, waiting to be examined. I have seen old photographs of the Fondouk from the 1930s, and it is uncannily unchanged; the Route de Taza is probably busier and louder now, but the handsome white wall of the Fondouk with its enormous arched wooden door is unmistakable, as is the throng of donkeys and mules at the front door, their owners, dressed in the same somber long robes that they still wear today, close by their side. In those old pictures, as is still the case, an American flag is flying from the Fondouk's walls; it is the only place in Morocco I know of besides the U.S. Embassy to display an American flag. These days, the Fondouk's chief veterinarian is Denys Frappier, a silver-haired Canadian who had come to the Fondouk planning to stay just two years, but 15 years have now gone by and he has yet to manage to leave. He lives in a pleasant house within the Fondouk property—the old stables, converted to the staff residence 60 years ago—along with ten cats, nine dogs, four turtles and a donkey, all of them animals who were either left here for care by their owners, who never came to get them, or were walk-ins who never walked out. 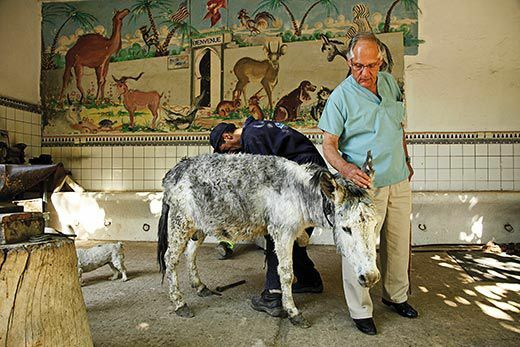 In the case of the donkey, a tiny knock-kneed creature whose Arabic name means "Trouble," he was born here but his mother died during birth, and the owner wasn't interested in taking care of a baby donkey, so he left it behind. Trouble is the Fondouk pet; he likes to visit the exam room and sometimes snuffle through the papers in the Fondouk office. An awkward, ill-built animal with a huge head and a tiny body, he was adopted by the veterinary students who were doing internships at the Fondouk; one of them used to let the newborn donkey sleep in her bed in the small student dormitory. When I arrived that morning, Trouble was following Dr. Frappier around the courtyard, watching him on his rounds. "He is nothing but trouble," Dr. Frappier said, looking at the donkey with affectionate exasperation, "but what can I do?" Previously, Dr. Frappier had been the chief veterinarian of the Canadian Olympic Equestrian Team, tending to pampered performance horses worth $100,000 or more. His patients at the Fondouk are quite different. That morning's lineup included a bony white mule who was lame; a donkey with deep harness sores and one blind eye; another donkey with knobby hips and intestinal problems; a hamster with a corneal injury; a flock of three sheep; several dogs with various aches and pains; and a newborn kitten with a crushed leg. A wrinkled old man came in just behind me, carrying a mewling lamb in a shopping bag. By 8 a.m., another six mules and donkeys had gathered in the Fondouk's courtyard, their owners clutching little wooden numbers and waiting to be called. The Fondouk's original mission was to serve the working animals of Morocco, but long ago it began to dispense free care to all manner of living things, with the exception of cattle—a luxury in Morocco, and therefore free care seemed unnecessary—and pit bulls. "I was tired of patching them up so the owners could take them out and fight with them again," Dr. Frappier said, as he was checking the hooves of the lame mule. 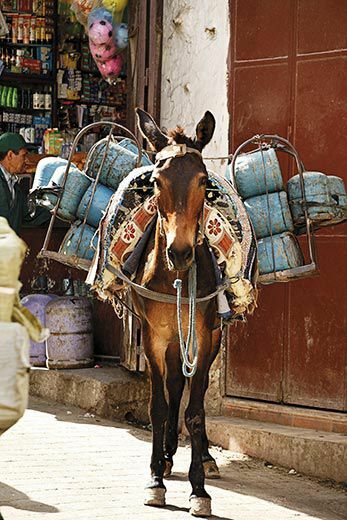 The mule was poorly shod, as are many of the donkeys and mules in the medina, with rubber pads cut out of old automobile tires; the corners of its mouth were rubbed raw by a harsh bit; he would have looked better if he weighed another 30 or 40 pounds. 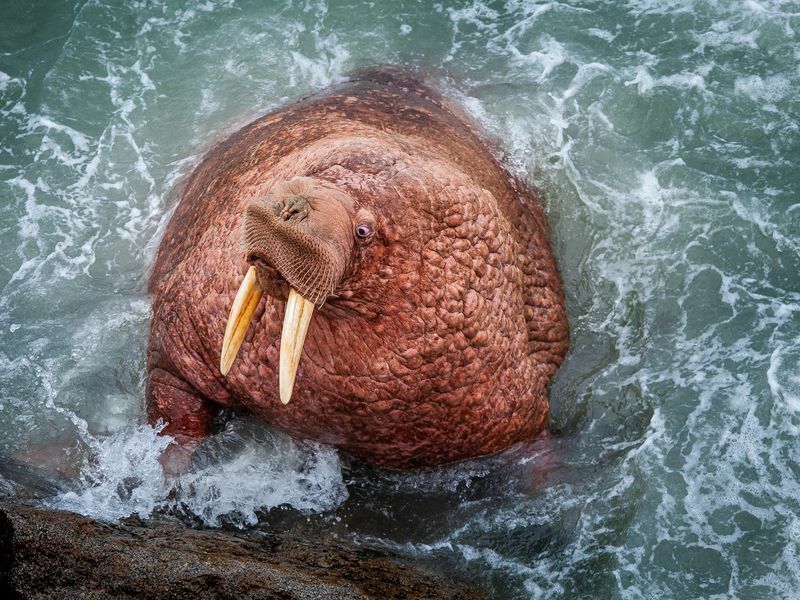 It took Frappier several years to adjust to the condition of the animals here; at first he was utterly discouraged and put in a request to resign his post and return to Montreal, but he settled in, and he has learned to sort out "dire" from "acceptable." The Fondouk has quietly pushed an agenda of better care, and in large part it has been successful: it managed to spread the word to the mule and donkey owners that sticking cactus thorns in harness sores didn't encourage the animals to work harder, and that rubbing salt in their eyes, a folk remedy to get them to walk faster, was not only ineffective but left the animals blind. 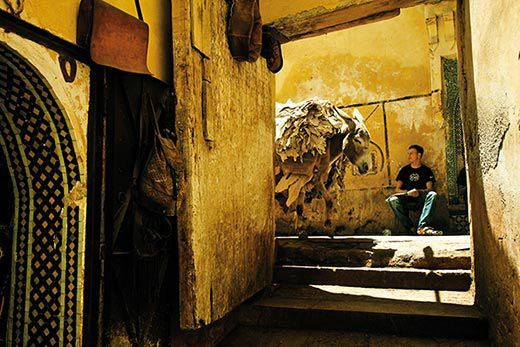 There are animals everywhere you look in Fez, and in Morocco. Cats tiptoe around every corner; dogs lounge in the North African sun; even on the roaring roads of Casablanca, horse-and-buggies clatter alongside SUVs and sedans. 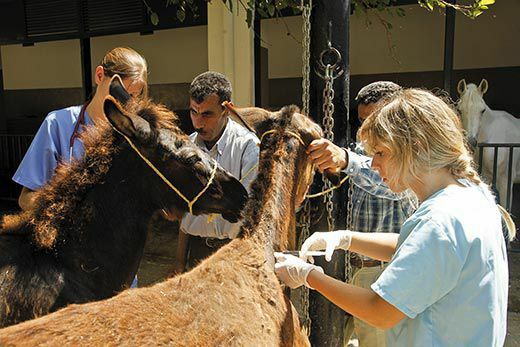 Twelve full-time veterinarians work in Fez, but even so, on two separate occasions the royal family of Morocco, which could certainly afford any veterinarian in the world, has brought its animals to the Fondouk. 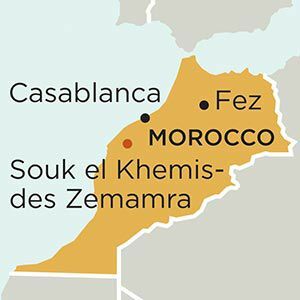 On my first trip to Morocco, I had heard of Souk el Khemis-des Zemamra, one of the country's largest donkey markets, held every Thursday, about two hours southwest of Casablanca, and ever since hearing of it I had wanted to go. 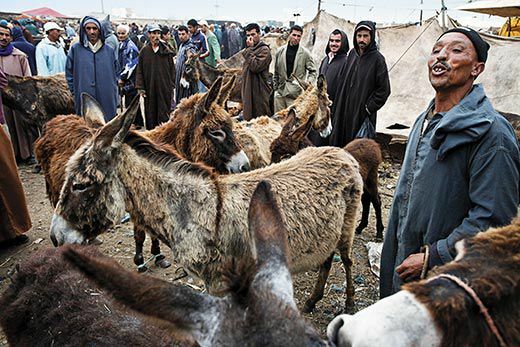 I wanted to see the epicenter of the donkey universe in Morocco, where thousands of creatures are bought and sold and traded. 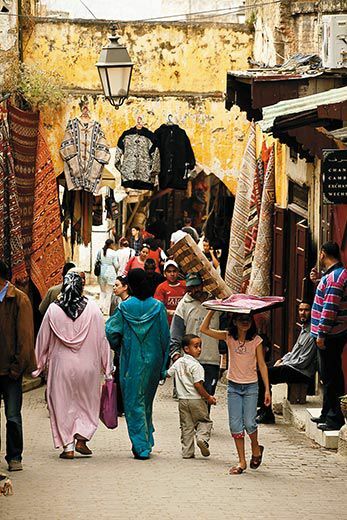 A few years ago, the government began visiting Khemis-des Zemamra and the other large souks to take stock of the transactions and levy sales tax on them, and since then more of the trade has migrated away from the souks toward word-of-mouth impromptu markets, out of reach of the tax man. 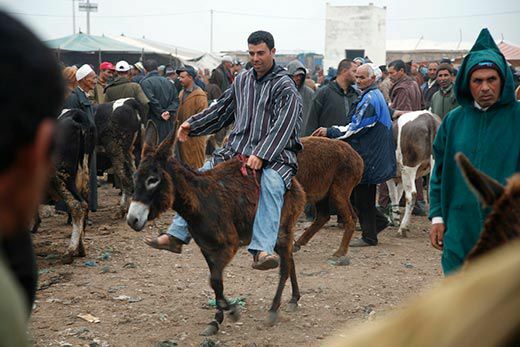 The number of donkeys sold in Khemis-des Zemamra these days is perhaps a third less than what it was five years ago. Still, the souks thrive—besides donkeys, of course, they sell every single food product and toiletry and household item and farm implement you could ever imagine, serving as a combination Agway, Wal-Mart, Mall of America and Stop & Shop for the entire population for miles around. 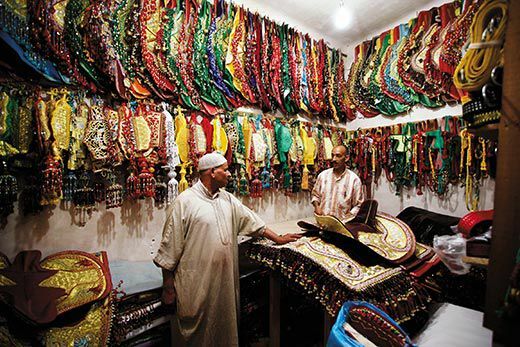 If you want chickpeas or hair dye or a fishing net or a saddle or a soup pot, you can find it at the souk. If you want a donkey, you will certainly find the one you want any Thursday morning in Khemis-des Zemamra. I set out on the five-hour drive from Fez to Khemis-des Zemamra on a Wednesday night. The market starts at the crack of dawn; by noon, when the sun is searing, the fairground where it takes place would be empty, the grass trampled down, the mud marked with wagon wheel tracks and hoof prints. I was traveling there with a young Moroccan man named Omar Ansor, whose father had worked at the American Fondouk for 25 years until his recent retirement; Omar's brother, Mohammed, has been working there with Dr. Frappier since 1994. Omar told me he loves animals, but he found my fascination with donkeys puzzling. Like many Moroccans, he considered them tools—good, useful tools, but nothing more. Maybe to him, my enthusiasm about donkeys was like being enthusiastic about wheelbarrows. "A donkey is just a donkey," he said. "I like horses." 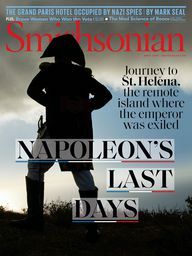 The drive took us back past Casa­blanca, with its smoking chimneys and thicket of apartment buildings, and then to El Jadida, a whitewashed resort town on a flat spread of pinkish beach, where we stayed the night. Thursday morning was warm and clear, the light pouring over wide fields of corn and wheat. In several fields, donkeys and mules were already at work, pulling irrigation machines and plows, leaning into their harnesses. Carts hurtled alongside us on the shoulder of the road, loaded with entire families and nearly toppling loads of bulging burlap bags, boxes and miscellany, heading in the direction of the souk, the donkey or mule or horse moving snappily, as if the sound of the car traffic was egging them on. By the time we arrived, just after 7 a.m., the fairground was already mobbed. We had no trouble parking, because there were only a handful of cars and another handful of trucks, but the rest of the parking area was cluttered with wagons and carts and scores of donkeys and mules—a few hundred of them at least, dozing, nibbling on the scraps of grass, swaying in place, hobbled by a bit of plastic twine tied around their ankles. These weren't for sale—they were transportation, and they were parked while their owners were shopping. A roar floated over the fairground; it was the combined chatter of hundreds of buyers and sellers haggling, and the smack and thump of boxes being opened and sacks being slapped down to be filled, and vendors hollering for attention and a blast of Moroccan music playing out of an unattended laptop computer that was hooked to man-size speakers, beneath a tent of fabric cut from a Nokia cellphone billboard. We walked in through a section of the souk where vendors sat behind mountains of dried beans in baskets four feet wide, and past stalls selling fried fish and kebabs, the greasy smoky air trapped in the tents, and then we arrived at the donkey area. At the entrance were rows and rows of vendors selling donkey and mule supplies. A young man, deep furrows in his face, was selling bits made of rusty iron—his inventory, hundreds of bits, was in a stack three feet high. 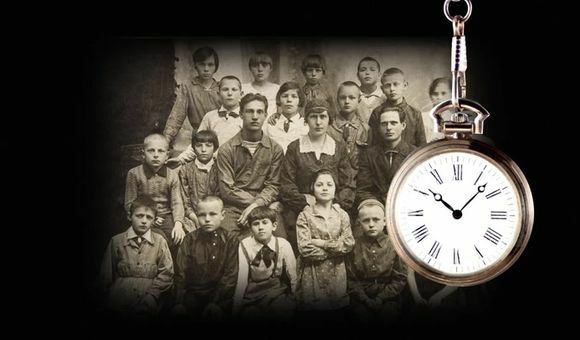 Beside him, a family sat on a blanket surrounded by harnesses made of tan and orange and white nylon webbing, and every member of the family, including the children, was stitching new harnesses while they waited to sell the ones they had already made. The next row had a dozen stalls, all offering donkey saddles—V-shaped wooden forms that sit on the animal's back and support the cart shafts. The saddles were made out of old chair legs and scrap lumber, the corners nailed together with squares cut from old tin cans; they were rough-looking but sturdy, and they had thick padding where they would rest on the animal's skin. Just past the saddle sellers was a small field jammed with donkeys for sale, their owners scanning the crowd for buyers, the buyers strolling among them, stopping to glance at one, size up another. 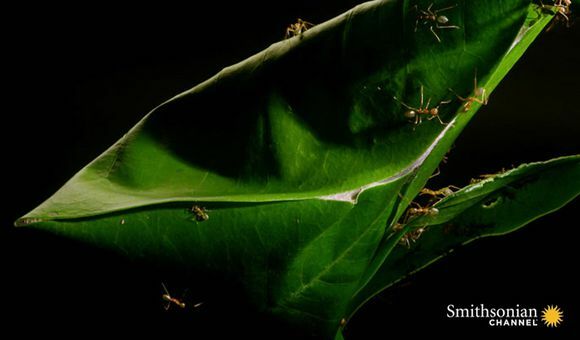 There was much milling around, the crowd moving in and out of the clusters of donkeys; the donkeys, though, stood quietly, nodding off in the warming sun, idly chewing a bit of grass, flicking off flies. They were a rainbow of browns, from dusty tan to almost chocolate, some sleek, others with the last patches of their thick winter coats. For someone who loves donkeys, it was an amazing sight. I stopped near one dealer who was in the center of the field. A small woman with piercing blue eyes, covered head to toe in black fabric, was completing her transaction—she had traded her older donkey and some cash to the dealer for a younger animal. The donkey dealer was tying a hobble on his new acquisition, and when he finished, he told me he was having a busy day and had sold eight donkeys already that morning. His name was Mohammed, and his farm was ten miles from the souk; he brought his load of donkeys here on the back of a flatbed truck. It was a good line of work. His family had always been donkey dealers—his mother and his father, his grandparents, their grandparents—and business was steady, 50 donkeys or so sold each week. 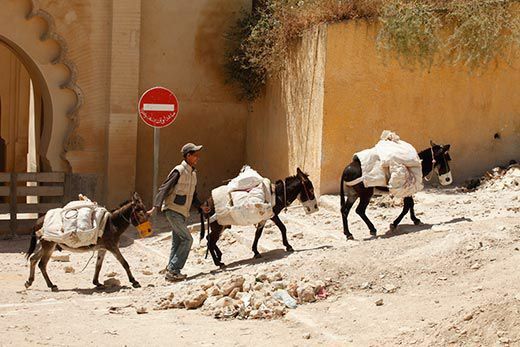 He had brought 11 donkeys to the souk that morning, so he had three small, sturdy animals left. "How old is this one?" I asked, patting the smallest of them. "He's 3 years old," Mohammed said. As he said this, a young man behind him grabbed his elbow and moved him aside and said, "No, no, he's only 1." "Well, is he 3 years old or 1 year old?" "Uh, yes," Mohammed said. "And very strong." He leaned down and began untying the donkey's hobble. "You will not find a better donkey here at the souk. Just give me 15,000 dirhams." I explained that I lived in New York and that it didn't seem practical for me to buy a donkey in Khemis-des Zemamra. 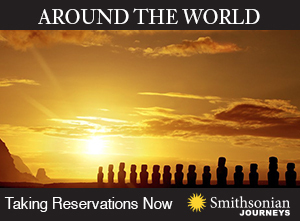 Moreover, the price—the equivalent of about $1,800—sounded exorbitant. Donkeys here usually go for under 700 dirhams. "Tell me, what is the price you want to pay?" Mohammed asked. He was a dark-skinned man with sharp features and a loud chesty laugh. He led the donkey a few feet away, and then turned him in a circle, displaying his fine points. By now a crowd of other donkey sellers was gathering. I explained again that I was not being coy, that as much as I would love to buy the donkey, it was more impractical than even I, an often impetuous shopper, could possibly be. "Then we'll make it 12,000 dirhams," he said, firmly. "Very good." By this time, the crowd had become emotionally invested in the idea that I might buy the donkey; a gaggle of little boys had joined in, and they were giggling and jumping up and down with excitement, dodging under the donkey's head to glance at me, and then dashing away. The donkey was unperturbed by the commotion; he seemed wise, as they all seem to be, to the fleeting nature of the moment, and the inconsequential nature of the outcome, that life would just roll on as it has, and will, for thousands of years, and that certain things like the hard work of animals and the mysterious air of the medina and the curious and contradictory nature of all of Morocco will probably never change. I left without that small, sturdy donkey, who was undoubtedly named H'mar, but I know that if I return to that field in Khemis-des Zemamra years from now, I will find another brown donkey for sale with the exact same air of permanence and the exact same name. Susan Orlean is working on a biography of the canine actor Rin Tin Tin. She is considering adding a donkey to her household. Photographer Eric Sander lives in Paris. Editor's Note: This article has been revised to make the following correction: The Prophet Muhummad gave advise on the width of roads. It was not specified in the Koran as the earlier version of this article stated. Susan Orlean is a best-selling author and a staff writer for the New Yorker.